A CBC investigation has uncovered a history of safety violations at a North Vancouver skating rink, both before and after an accident that retired world figure-skating champion Karen Magnussen says has left her disabled and unable to work as a coach. A CBC investigation has uncovered a history of safety violations at a North Vancouver skating rink, both before and after an accident that retired world figure-skating champion Karen Magnussen says has left her disabled and unable to work as a skating coach. "It's just horrific. I mean, I was always on the go ... able to function at a very high level. This is just horrible," Magnussen, who won a silver medal at the 1972 Olympics and a year later became the last Canadian woman to win the world title, said in an interview with CBC News. Magnussen, now 61, had hoped to teach ice skating well into her 80s, but she says an ammonia leak at the North Shore Winter Club two years ago left her permanently disabled. Documents obtained by CBC show that in the months before the accident, WorkSafeBC inspectors had been to the rink several times, and cited numerous safety violations. Just nine months before the accident, inspectors found inadequate safety equipment and ordered the North Shore Winter Club to write an exposure control plan in the event workers were exposed to hazardous materials. After months of "continued non-compliance," a plan was submitted, but that plan did not deal with the more than 180 kilograms of ammonia that leaked from the facility's refrigeration system. WorkSafeBC investigated the incident that injured Magnussen and two maintenance workers, and found the club had no evacuation plan, no written safety procedures, no warning signs, inadequate respirators and a faulty alarm system. The B.C. Safety Authority blamed the leak on equipment failure and operator error due to lack of training. The North Shore Winter Club declined to speak on camera, but issued a statement saying it is vigilant about safety and is now "in full compliance with any and all orders ... relating to any issue regarding Karen Magnussen or any other issues." The accident happened at 5:45 a.m PT., as Magnussen was preparing to teach her 6 a.m. class at the private, members-only North Shore Winter Club. "As I opened up the two hallway doors, I was hit with this blast of ammonia," she told CBC News. "I mean, I didn't even make it to the rink ... I gasped. I breathed in a huge amount of ammonia and then I gasped again because I couldn't breathe," she said. Then, she remembered her students were lacing up in the family change room and she rushed to get them outside. "I ran with my skates downstairs ... I'm still breathing in the ammonia. [I] managed to get them all out the front door, but by that time, I was just coughing uncontrollably, eyes watering, coughing like crazy," she said. "I could just feel my throat was burnt." Paramedics arrived at the scene and rushed her to the hospital. The coughing persisted for months. Steroids now help her breathe, but the side-effects have taken her off the ice — permanently. "My joints are so swollen. I mean, everything is swelled up from the prednisone that I've had to be on. I've gained over 60 pounds," she said. 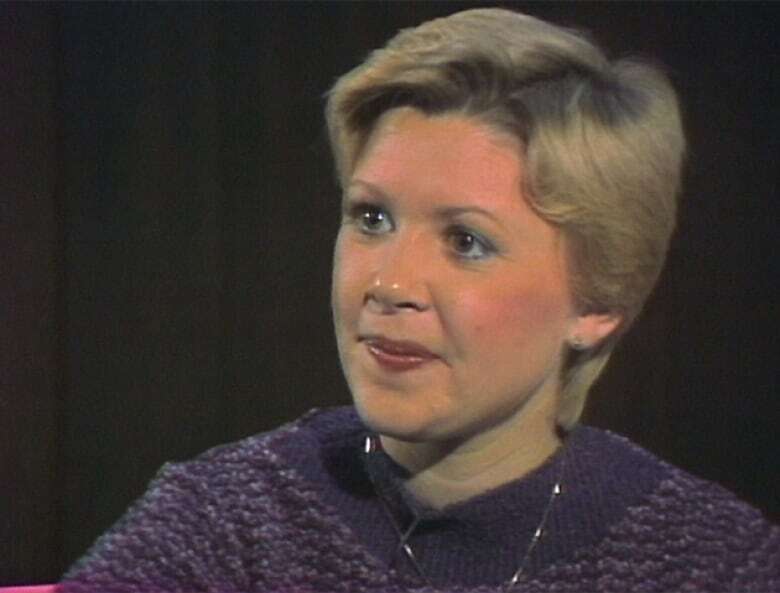 Magnussen, who had been teaching figure skaters and hockey players full time before the accident, was cut off from workers' compensation payments when it became clear her disability was permanent. The 61-year-old is now waiting for a WorkSafeBC assessment to be completed to determine if she will receive disability compensation. Magnussen said the club she made famous has never been in touch with her since the accident, and even removed a painting of her that had been in a prominent location for decades. "If they only knew what I went through every day. I think, you know, I just can't believe they haven't even phoned to find out," she said. "It's pretty sad when you've spent your whole life there." In the statement issued by the club to CBC it said, "We continue to wish her all the best in her recovery."